Once again, Sue and I would like to express or appreciation for how you brought the sale of our house to a successful close. We realize now that we may have listed our house in the middle of the worst real estate market in recent history. However, your knowledge of the marketplace in working with us on a realistic listing price, as well as your suggestions for reasonable adjustments as the market continued to slide downward during the 16 months of the listing, kept both Sue and I sane, as well as knowledgeable that the house was appropriately positioned to sell. And then your masterful "comp" comparison for the buyer resulted in a final sales price that exceeded our expectations. We couldn't have been happier. In addition to your marketplace knowledge, Sue and I also appreciated your total professionalism, as well as the empathy you continually shared with us during the duration of the listing. As a result, we were very comfortable working with you during the entire relationship. Please know that we would be happy to be a referral for any party that is considering you as their agent. We are positive that working with you would be to their advantage. Recently, Ms. Marilyn Smith gave a compliment on your behalf to our corporate office. It is always nice to hear from customers so satisfied that they take a moment to make mention of our outstanding sales agents/consultants. Thank you for your superior sevice to Ms. Smith. You certainly exhibit the professionalism that buyers and sellers count on when working with the Century 21 System. we would not have continued with her. Chris is an amazing lady! She is extremely knowledgeable in the field and in the Incline area, and is well respected by her colleagues both in her own office and in dealing with the mortgage brokers, title companies, repair people, inspectors, etc. They know that if Chris is involved, she will follow up and have actions taken in a timely manner and the project will be completed as it should be. If Chris doesn't know an answer, she is quick to research the problem and her follow through is remarkably prompt. Chris is a pleasure to know and a pleasure to work with. She made all our transactions do-able and flow smoothly. She is an asset both to Century 21 and to the real estate business in general. I would recommend her highly and would definitely choose her again as our agent should the need arise. She's the BEST! As we approach the New Year, we wanted to share with you our Top 10 Reasons why we think you are the world's best realtor. #10--You know your way around Lake Tahoe and all the neighborhoods without using a map. #9---You didn't mind showing us the same property at all times of day and night so we could see it in different "lights". #8---Amazing patience, even when we brought our contractor in to evaluate removing all the walls. #7---Property marketing skills that include multiple open houses regardless of what football team was playing on TV. #6---Sound, unbiased advise, based on our needs, when we asked if you thought it was the right property for us. #5---Willingness to help when we locked ourselves out of the house within three days of moving in. #4---Help in making sure that the property we sold and bought had quality, timely inspections, appraisers, and other reliable, professional service providers. #3---Amazing listening skills and the ability to choose only the properties we would actually be interested in buying. #2---An uncanny understanding of the market when pricing homes with ability to choose the right price to move the property quickly. And the #1 reason you are the world's best realtor is: You found us a place we just LOVE! Finding a home in the Tahoe market is hard, sometimes difficult and emotional. Chris, you are such a pro that the whole process was smooth and easy. We especially appreciate your willingness to work with us over an entire year to find the right property. And when it was time to sell our home, you were there again with the right advise and a process that made the sale quick and simple. Again a pleasant experience thanks to your professionalism, skill, and wonderful style. We are happy to refer you to all our friends and know that you will continue to have great success in the future. Thanks so much for your help! Recently my wife and I purchased a house that was listed by Christine Ferris of Century 21 McGregor Realty in Icline Village, Nevada. At the time we were not represented by another agent, so Christine also represented us in the transaction. In our experience, Christine performed with integrity and to the highest ethical standard for both the buyer and the seller in this circumstance. We would not hesitate to recommend her services to anyone who was wishing to sell or buy a house in the future. Christine Ferris was our real estate agent on the sale of our Incline Village, Nevada property. Christine represented us as the sellers, and also represented the buyers on this transaction. We cold not have asked for a more professional or a smoother sale of our house. Thanks to our agent's excellent relationship with both buyers and sellers, and her skills as a mediator, we were even able to close escrow early on the sale of our house. We have lived in Incline for 15 years and have purchased three homes and sold two during this time. Christine Ferris is the first real estate agent we have worked with whom we can wholeheartedly recommend and would use again either as a buyer's or seller's agent if the occasion should arise. From the moment we listed our house until we closed escrow, we felt Christine went out of her way as our listing agent to meet our needs. Please feel free to contact us if you need further information. 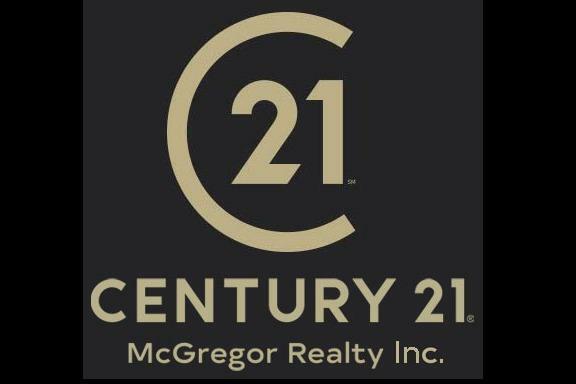 Christine Ferris, of Century 21 McGregor Realty, is an outstanding realtor. My husband and I chose her after watching her impeccable performance in Incline Village for several years. We had worked with other realtors in the past, but after knowing Christine's professional skills and integrity, we will never choose anyone except her. Throughout the listing period Chris went out of her way to advertise our home, conduct open houses, make suggestions for improving the appeal, and remain in close communication with us regarding showings. Then suddenly one of her buyer clients decided to make an offer on our home, which we accepted. The integrity and commitment to professionalism which Chris showed to both sides was incredible. At first we were hesitant to have her also represent the buyer, but she had built our trust and confidence in her so deeply that we quickly recognized she had the skills to help each party feel comfortable. We truly believe she provided the best possible service to both sides, and if Chris were to represent both buyer and seller again, we would not hesitate to hire her. Chris was extremely organized in helping both parties meet deadlines during escrow. She provided us with timelines and instructions for every aspect of the escrow, in a confidential and secure way. She provided us with copies of the countless papers of each contingency removal and assisted in keeping these details in order. Her recommendations for inspectors and repair contractors met the needs of both parties, while she remained sincerely committed to her duties as the listing agent. My husband and I admired her ability to always follow through with her promises.